As college costs are increasing, children in military families, like many, may have trouble affording to pay for college. There are many ways to make college tuition less of a burden, and families should explore all options available to them. We understand education is very important, and attending the right school at the right price is necessary for a positive experience, both before and after graduation. The financial burden of college can be great, but there are tools offered from many entities that can make the process less of a hassle. Try to exhaust all aid options before actually paying for a college tuition. Scholarships – Plenty of independent scholarships are available for students, and these are given out for all sorts of accomplishments. Know your child’s strengths and give them a shot. 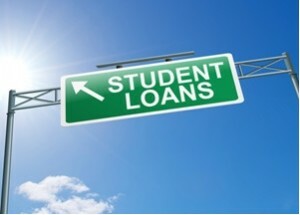 Government Aid – There are multiple types of financial aid programs offered by the federal government that could help cut down on a student’s total bill, and sometimes even cover it. School help – Some schools offer help for students through their own programs, and these may help make the process easier. There are multiple ways the U.S. military can help students and prospective students. If you take care of one of these options, they could end up helping cut, or even eliminate costs, altogether. ROTC – Reserve Officers’ Training Corps can help students pay off significant bills for their education. This is important as these scholarships may wipe out fees altogether. Join the military – Another option for prospective students is to temporarily put their education on hold. Joining one of the many military branches available, your child can not only gain experience serving their country, but they can also take advantage of government benefits, such as the G.I. Bill. This may help them pay for college at no extra cost to themselves, as well as helping their country at the same time.